Mindfullness | LEADER OF THE TRACK. People seem concerned when I say that their emotions are considered when planning a Personal Training session. Have a think though if you feel a certain way the actions taken will reflect that feeling. For instance if you’re really angry perhaps, you need to “burn off some steam” so you may look at doing a more high intensity training like boxing or some sprints. If you’re feeling really sad, you may need to be nurtured or to be around people who will lift you up, so you could join a guided yoga class or a group training session. If you’re feeling playful you may want to do something crazy and spontaneous, so you’re a little more adventurous and take on a new skill or location to explore. Incorporating emotional awareness into a movement session allows the client to be even more in tune with themselves as a whole. They’re able to understand what it is their body needs, whether it be energy from moving, and being in nature or perhaps they need rest. The relationship with our emotions can be an instantaneous response. In past studies looking into emotion, memory and motion, researchers found a direct link to a downward movement, such as a change in posture to be more slumped when thinking of something sad, as opposed to a more uplifted position when recalling a happier memory (http://scienceblogs.com/neurophilosophy/2010/04/21/motions-influence-emotions/) You’ll also recognise these automatic responses in things like, feeling thirsty and swallowing saliva to feel moisture, being uncomfortable and shuddering a little, feeling anxious and tensing up, the feeling of disappointment and feeling your stomach churn. There is a Buddhist meditation called Vipassana which originates from India, which involves you to have mindfulness of your complete existence. To feel an emotion and notice the brains thought process to then generate an action response. The power of meditation allows you to remove the distractions of life and tune in, to unlock feelings and thoughts we may have pushed aside. 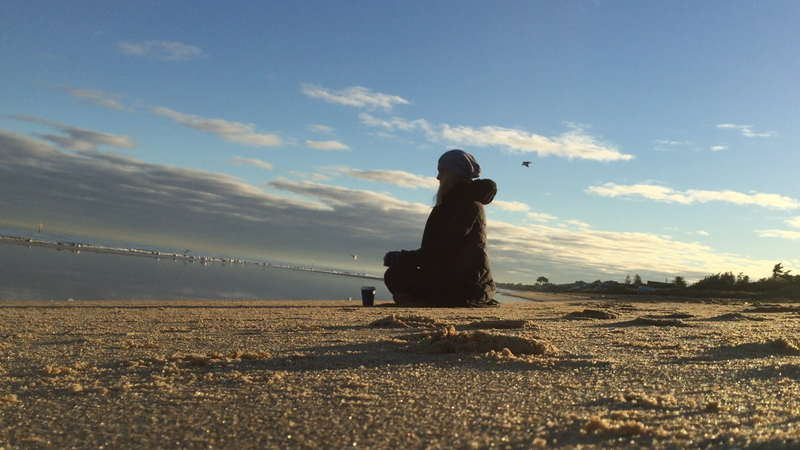 This is why meditation can actually be a healing practice. To feel pain or to feel despair and release these feelings by drawing our minds attention and thoughts to these areas. To release the pain, to release the discomfort and find yourself in a state of relaxation and calm. After personally being through a lot of trauma recently from a horse riding accident, to an ankle injury and finally to a car accident, my poor body has had to survive and bounce back through a lot. There is a reason we feel tired after something traumatic happens, because it’s the action the mind is telling the body to perform to assist the healing process and rest. 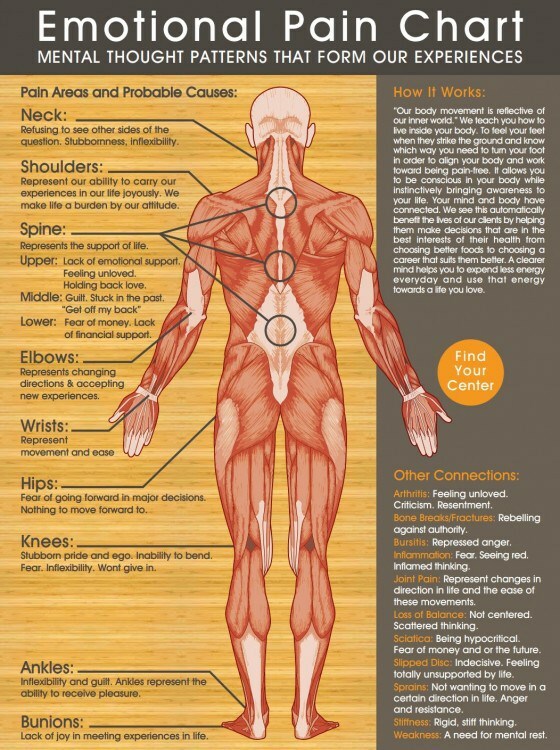 By ignoring your emotions, the body will find other ways to compensate and will often avoid using the injured areas and new mental and physical patterns that can cause misalignment and future injury can occur. To assist my personal healing process I’ve taken up daily meditation to consciously live through the trauma, and then notice different areas of “light” or pain that arise. With this consciousness I can then direct my thoughts to these areas to help release the trauma out of my body. As mentioned earlier sometimes emotions can also be stored and so the physical response of crying or feeling cold, or hot can also occur. Notice these changes and then mindfully provide your body with what it needs, this may often mean you need to have a really good cry to help release that blockage. If one side of the body is injured, it could help to notice the feeling of your other side to help bring back balance and equilibrium. Move these feelings of your uninjured side to where you feel pain so this area knows how it should feel, and can then mimic that. You can often be told to express your emotions in certain ways in fitness classes such as run as if a lion is chasing you so adrenaline can set in and you move that bit quicker. You can express yourself through dance, and beautiful stories are created without words needed in performances in ballet or contemporary dance. You can see how important your emotions are to reach optimal physical performance. Just to breathe in a more relaxed state, we need to feel relaxed as well. To find this clarity, and mindfulness I highly recommend trying meditation. How to meditate? Find a comfortable position- This could be seating cross-legged on the floor or a pillow, sitting upright in a chair, or lying down with your knees up. The reason I recommend having your knees up is because you have to consciously be awake to keep them in this position and as we relax more into the position, the risk of falling asleep completely can happen, and you want to be in between completely being awake and being asleep. Once you’re comfortable start to notice your breath. Don’t change your breathing rhythm but focus on the sensation of the air moving in and out of your lungs. Notice the path of the breath and where it is travelling, has being shortened to your chest or is it moving deep into the abdomen. We cannot stop the mind from thinking, and it will try to distract you to keep you awake. Acknowledge these thoughts, sensations and sounds with no judgement and then make the choice to return your focus to your breath. The time you choose to meditate for is completely up to you, if you would like you can set a timer, or you can simply just see where and how long you go with it. A good starting point is 5-10 minutes a day.